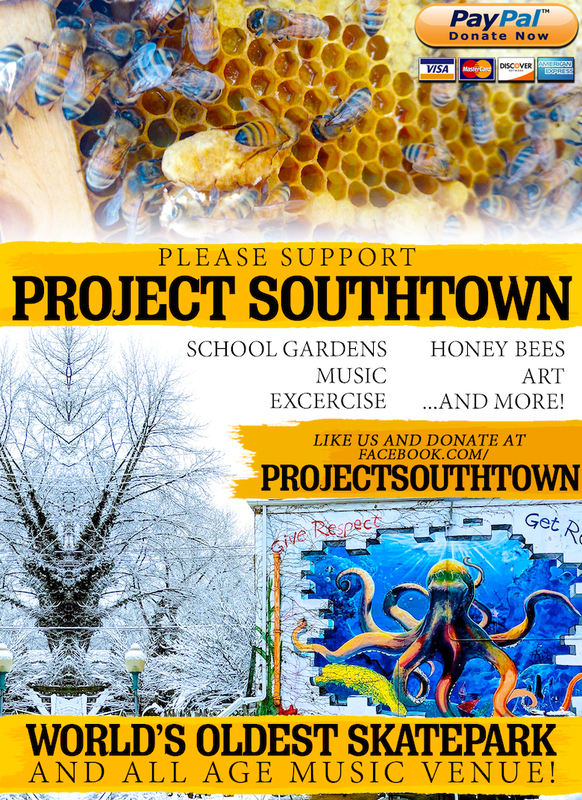 Welcome to ProjectSouthtown.com home base for the grassroots fundraising campaign for the Southtown Art, Music and Skate scene. For over 30 years, Southtown in Springfield has been a hub for creativity. So far this has been done entirely by ourselves, our day jobs and the $5 entry fee per person at the skatepark or music venue (Black Sheep). It has worked well enough for us to survive and continue but the taxes keep going up and now our insurance has gone through the roof! We are currently working on digitizing hundreds of old VHS and 8mm tapes and we will be publishing these on YouTube and SkankSkates.com. You can check out a sample of one of these videos below. This one is from a Birdhouse demo at Skank Skates in 1993 and features Tony Hawk, Willy Santos, Matt Beach, Andrew Reynolds and Ocean Howell.